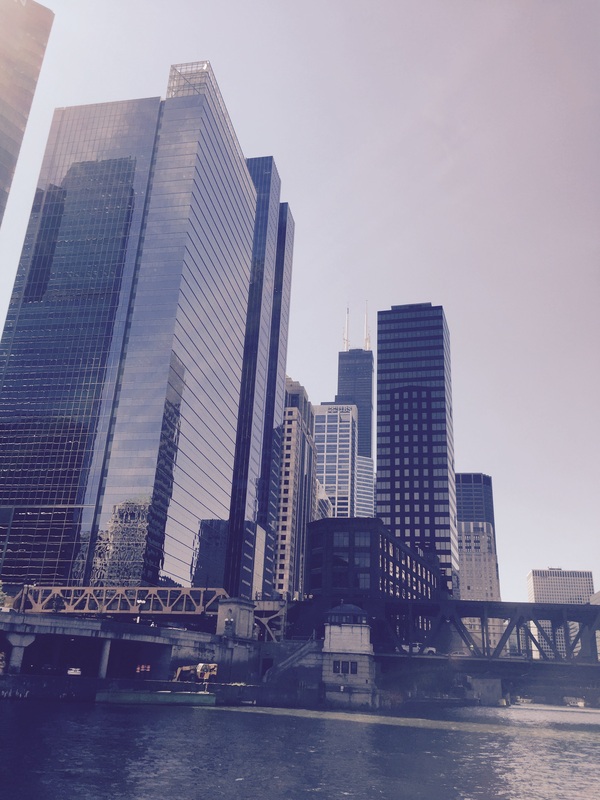 Here are some pictures from our two day Chicago trip. 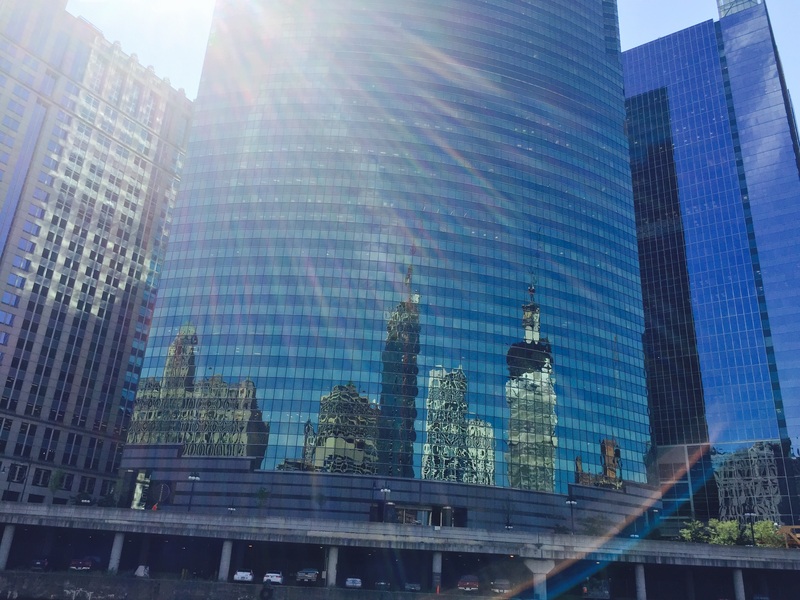 The Chicago River Architectural Tour was right up my alley. It’s hard to believe much of Chicago burned to the ground in 1871, and that the fire was so hot, it jumped the river in a sort of fire induced tornadic fireball. 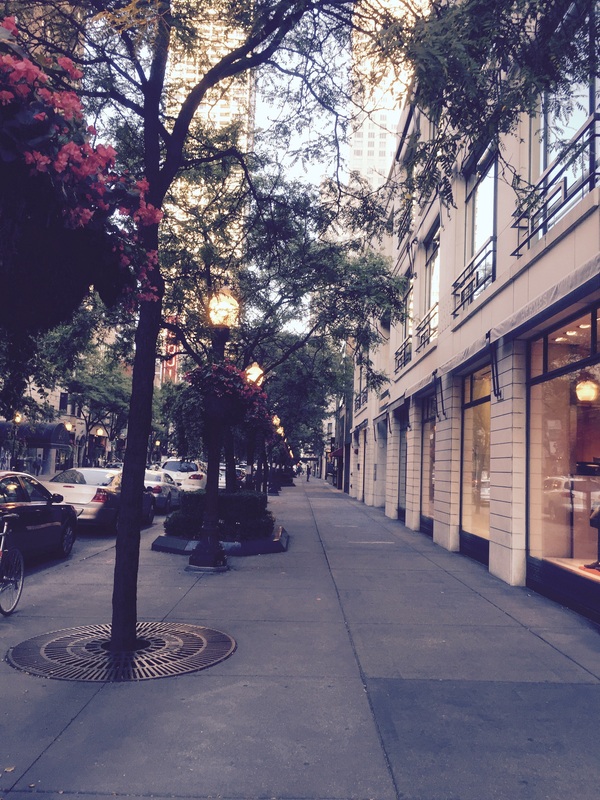 But that event, gave rise to a blank palette and aided by many great architects moving to Chicago to help rebuild, the city came back strong. It really is a remarkably beautiful city. 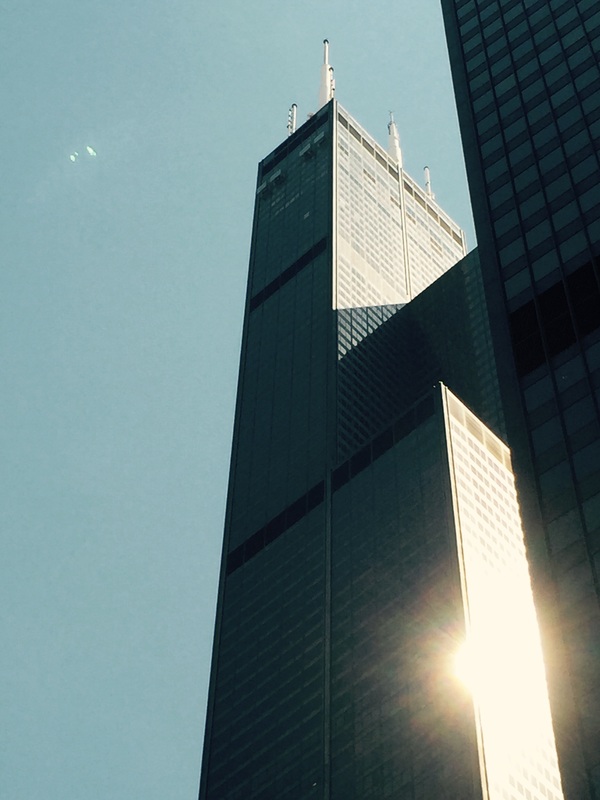 Hancock Tower exhibits a structurally visible “X” exoskeleton and the building on the right is a classic example of the Modern movement. The Water Tower building in the foreground was built in 1869 from Joliet limestone and is 154 feet tall. Inside was a 138 foot high standpipe to hold water drawn from water cribs in Lake Michigan. 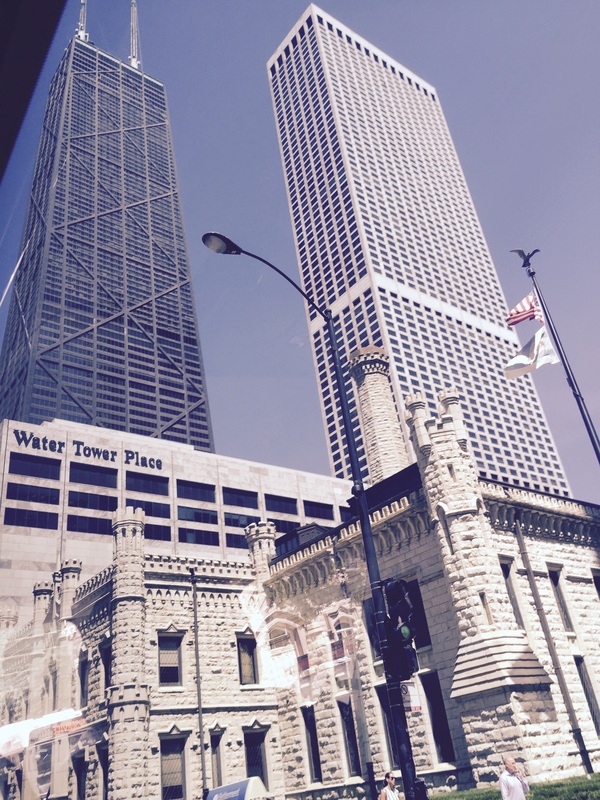 The tower has become a symbol of old Chicago and of the city’s recovery from the Great Chicago Fire of 1871. The Water Tower’s castle-like style inspired the design of many White Castle restaurant buildings. 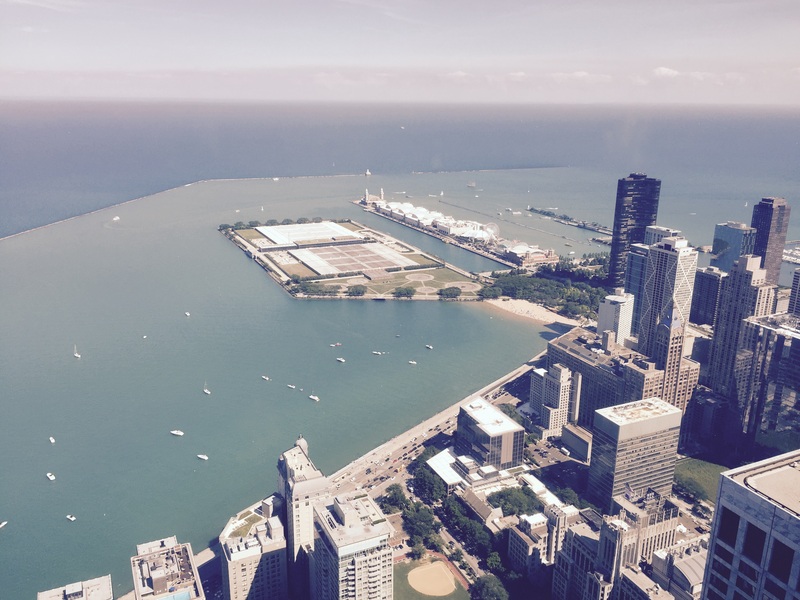 The Navy Pier on the shore of Lake Michigan viewed from the Hancock Tower. 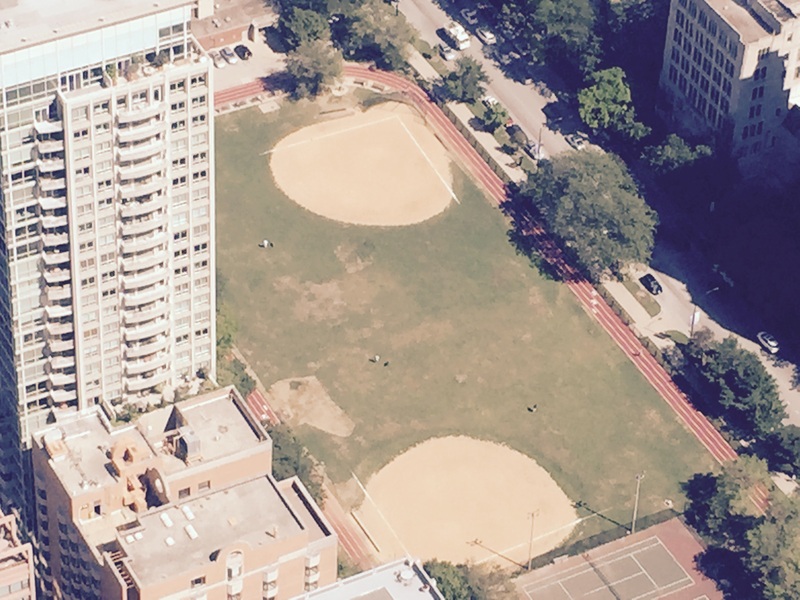 One of my favorites, two baseball diamonds framed by a four-lane running track, viewed from the Hancock Tower. 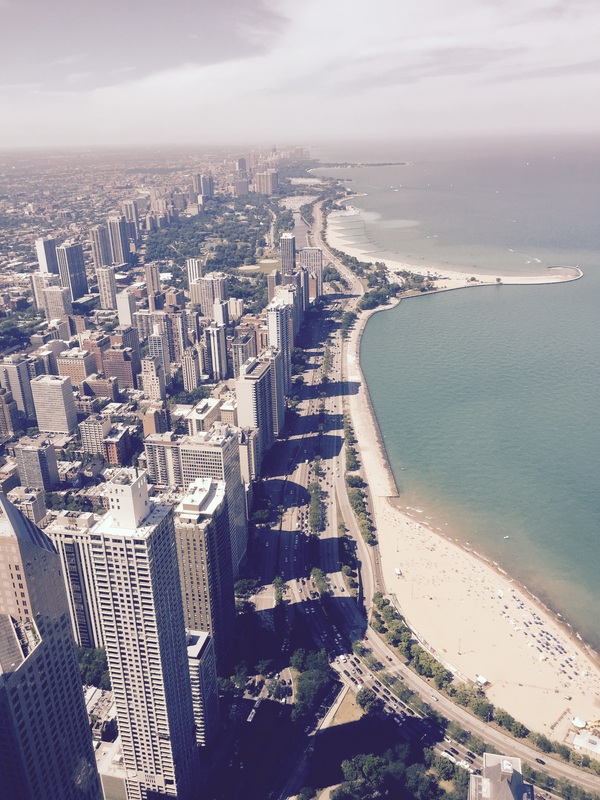 Looking north from the Hancock Tower along Lake Shore Drive. Biking, beaches, jogging, walking, boating…summer is a busy time along the shoreline. 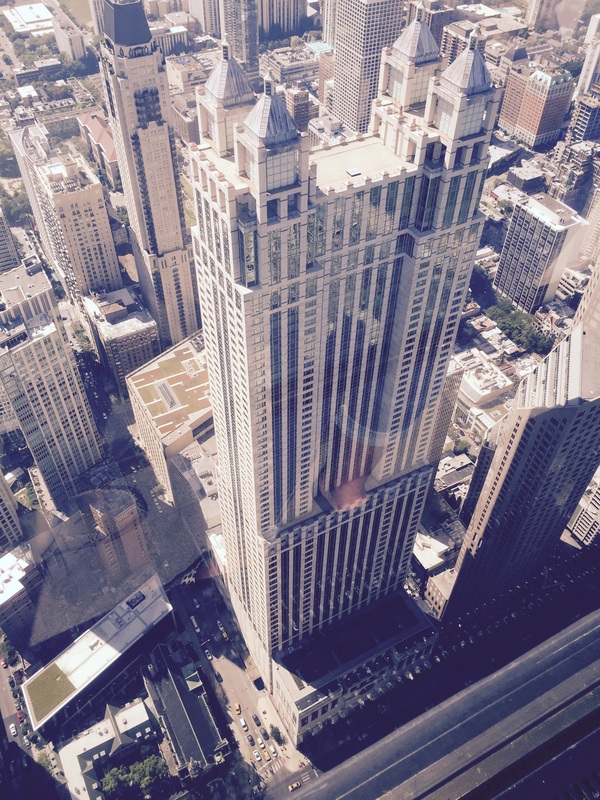 This building is south of the Hancock Tower, not sure the name, but an example of Post-Modern architecture. Note the green grass on several roof tops. 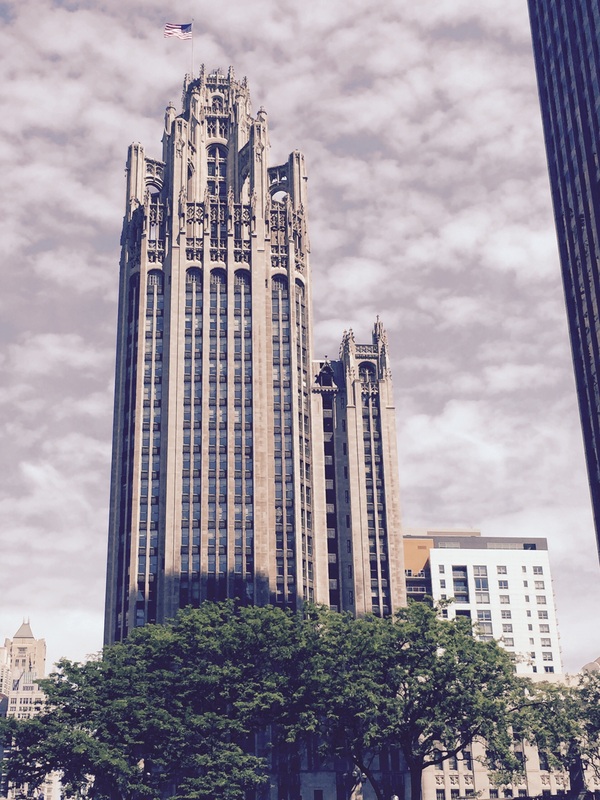 Lower left, on Michigan Avenue, is Fourth Presbyterian Church an example of Gothic Revival architecture. 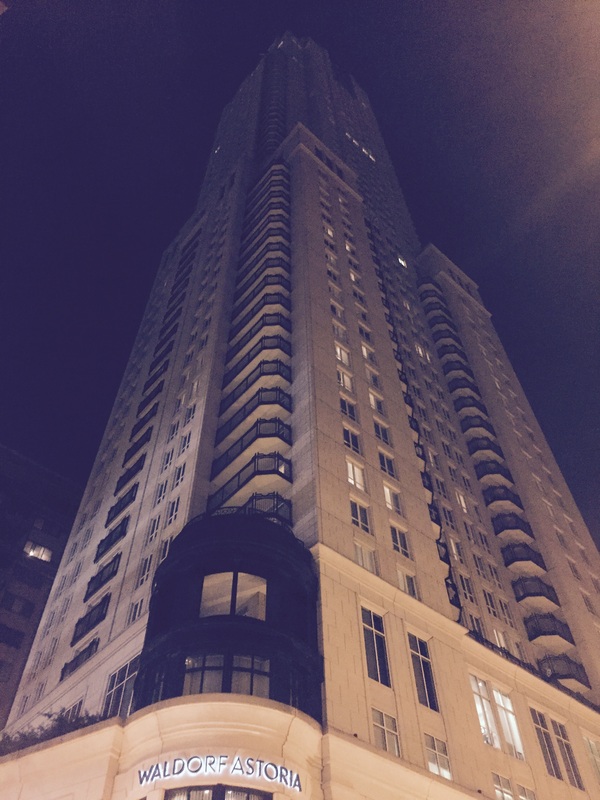 It’s also the oldest building north of the Chicago river other than the Water Tower Building. The City Beautiful Movement was a reform philosophy of North American architecture and urban planning that flourished during the 1890s and 1900s with the intent of introducing beautification and monumental grandeur in cities. The remnants of this movement are still here. 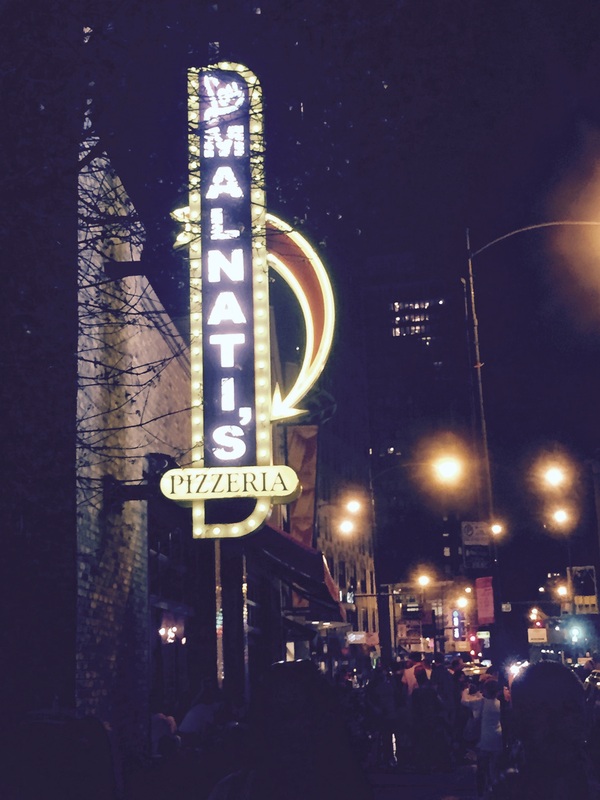 Lou Malnati’s Pizzeria. One of our evening meals. Amazing deep dish pizza! 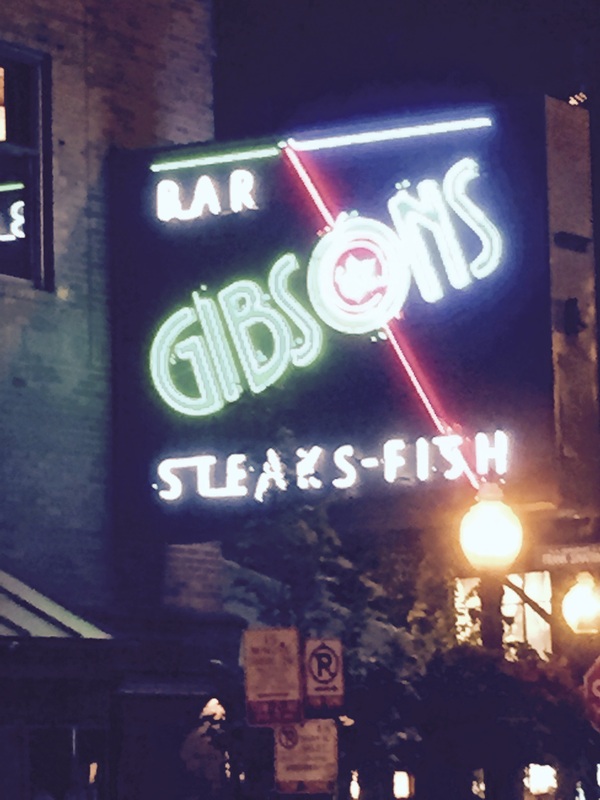 Gibson’s is the site of our second night meal, Chicago cut bone in rib eye, spicy lobster salad, crab and oysters, one of the best steaks I’ve eaten. Waldorf Astoria $600 a night, no we didn’t stay here. 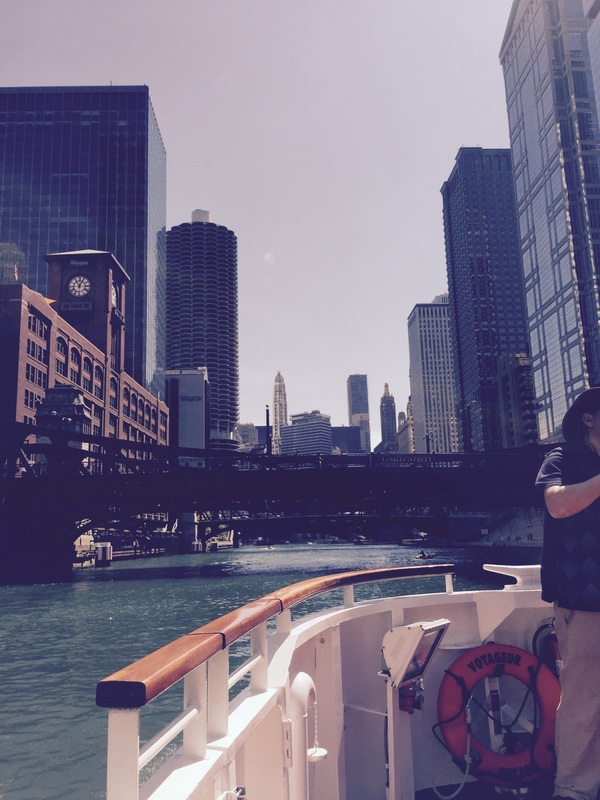 The beginning of the Chicago Architectural Cruise. Our tour guide commented about the Modernist style showing itself the city. As he mentioned this, I turned to see this remarkable view of the skyline on the opposite side of the river reflected in the glass of this blue & green Modern tower. The reflections all seem to be Traditional, Art Deco or Post-Modern, which all exhibit a more ornate style on the simple palate of the Modern building. Lots of glass on many of the Modern towers which “shows the city it’s own reflection”, contrast with still operable draw bridges which open two days a week for larger barges to pass. 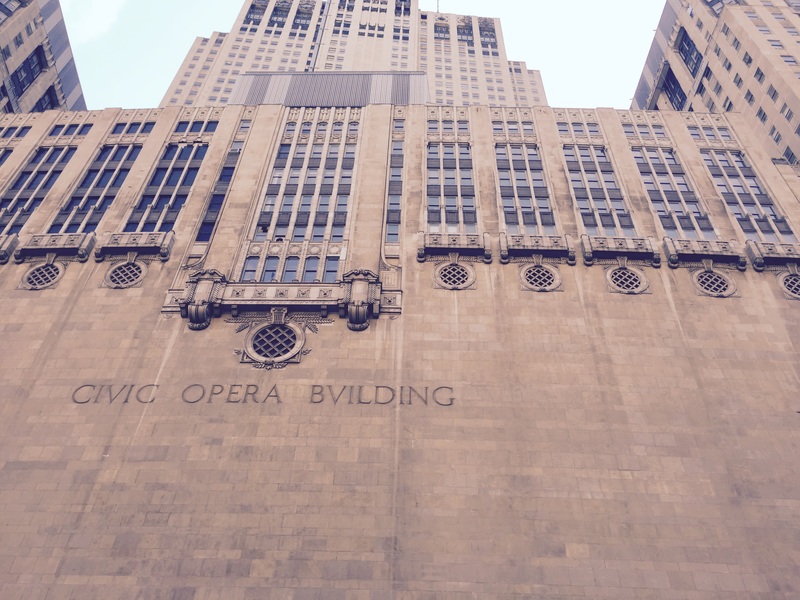 Civic Opera Building opened November 4, 1929, and has an Art Deco interior. It contains a 3,563-seat opera house, the Civic Opera House, which is the second-largest opera auditorium in North America. 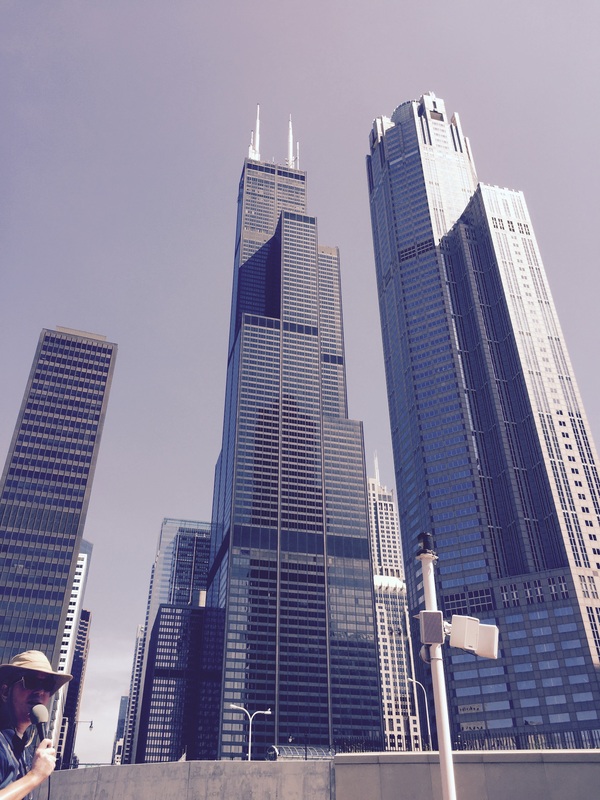 The Sears Tower on the left was once the tallest building in the world. There is a tower in Dubai now that is roughly the height of these two together. Contrasts in modern architecture, far left behind the clock tower is the IBM Plaza with clean rectilinear lines and glass in the International Style. Marina City is adjacent right, and reflects a sculptural Mid-Century Modern style (the one that resembles a corn cob). 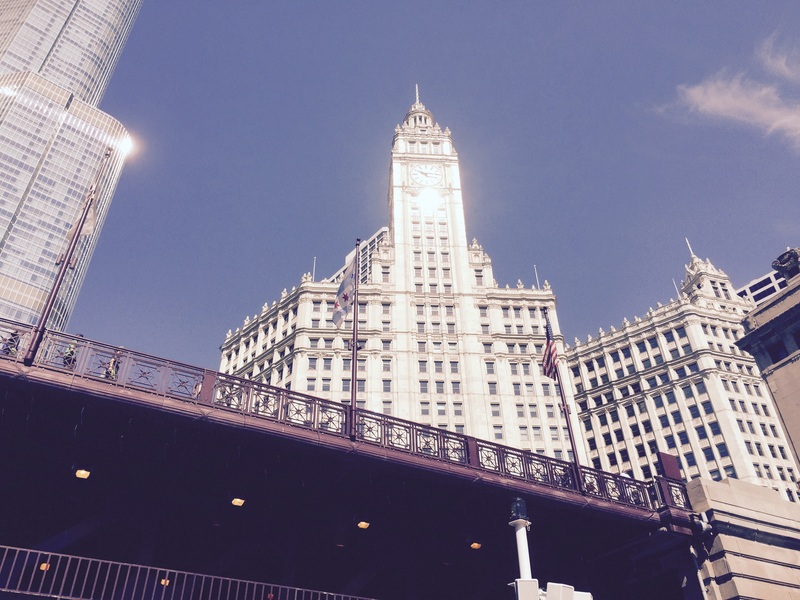 The Tribune Building is a beautiful building, the winning design from a 1922 contest asking architects to create the most beautiful and distinctive office building. Great city to visit. Headed there on business, today. Son Jared preaches out in Rockford, about 100 miles west.